Description: Opportunity knocks ! Tucked away in popular harbour chines & 1st time offered for sale in over 40 yrs. Situated on a large level 9230 sq ft lot & surrounded by new builds ! Nicely maintained home with updated windows, furnace, deck & railings, beautiful front & back yard with mature landscaping & gardens ! Street is very private & quiet yet conveniently located minutes from all levels of schools, shopping, sky train, sfu, everything you need & more. Making your new home a great place to raise your family & enjoy for years to come ! Call today for your personal tour ! 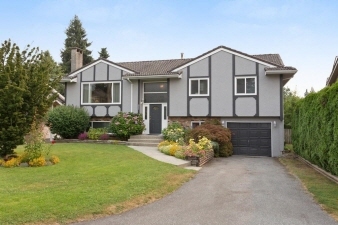 Open house sat sept 16th & sun sept 17th 2-4 pm.